Funeral flower preservation is not about remembering the funeral, but about paying tribute to a beautiful person’s life. 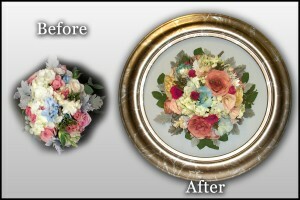 Suspended in Time Flower Preservation you can reach us at 801-227-0075. To find a dealer near you or to learn how to become a dealer. 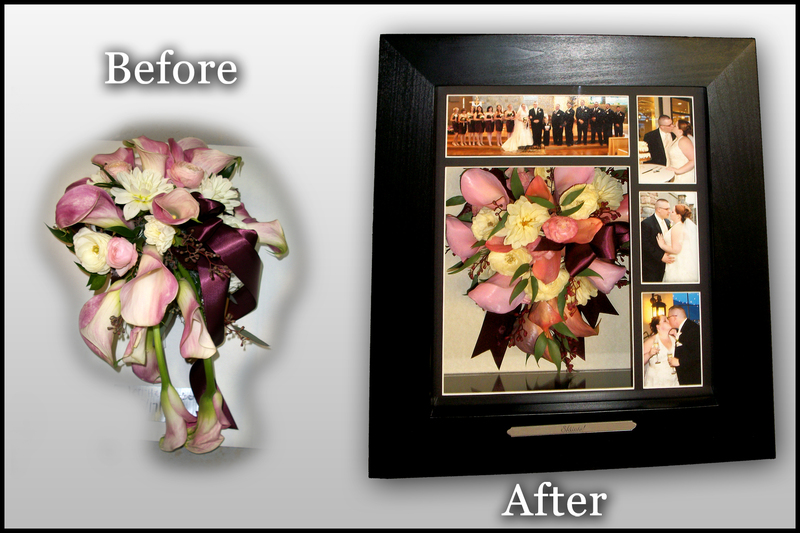 Suspended In Time® will professionally preserve your bridal bouquet and other wedding memorabilia allowing those memories to be cherished for a lifetime. Call (801)227-0075 to find a dealer near you or to learn how to own your own franchise. 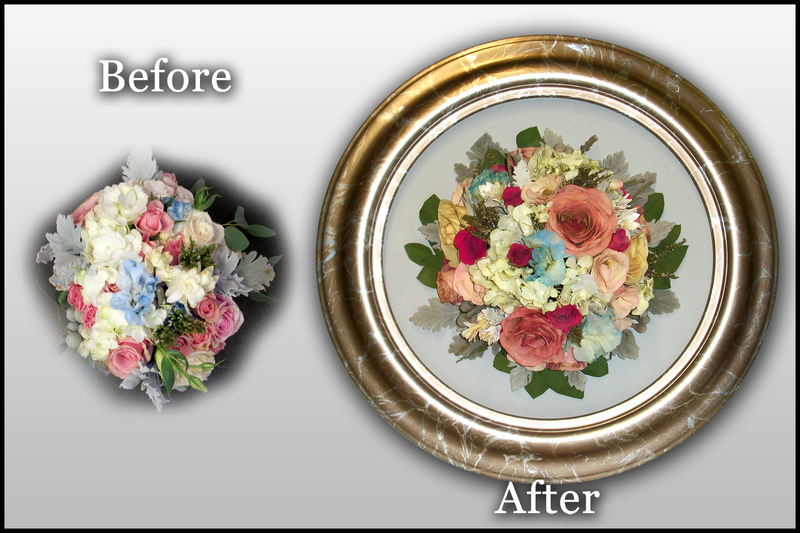 The Suspended In Time® drying and preservation process helps to keep every aspect of the bridal bouquet looking as gorgeous as the day it was made, not only for a short time, but for generations to come. Call (801)227-0075 for more information on how to dry your flowers or learn how to own your own franchise. Those we love are never really lost to us – we feel them in so many special ways – through friends they always cared about and dreams they left behind, in beauty that they added to our days… in words of wisdom we still carry with us and memories that never will be gone… Those we love are never really lost to us – For everywhere their special love lives on. 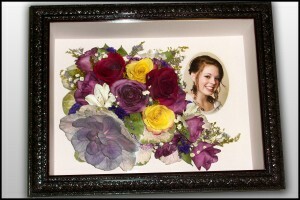 Contact-Suspended In Time® today to discuss your preserved funeral flower keepsake. 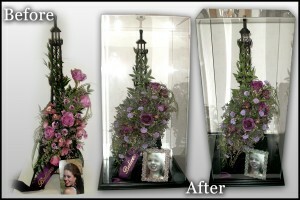 Suspended In Time Flower Preservation call (801)227-0075 to find out how to own a franchise or to find a dealer near you. Spring is in the air and its Wedding Season again! 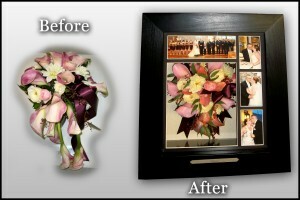 Preserve your Wedding Bouquet in a customized Shadowbox for generations to come too enjoy! 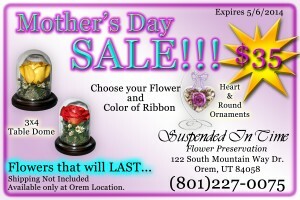 www.suspendedintime.com , call us at (801)227-0075 to find a dealer near you or to find out how to own your own franchise. 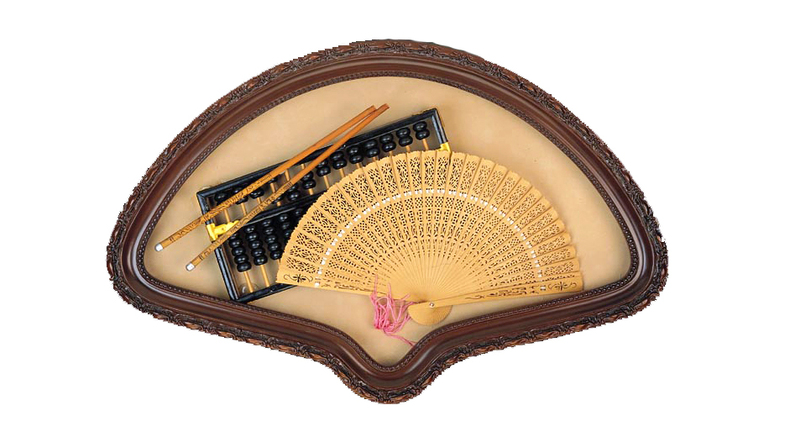 There are many life events like, school dances, recitals, awards, graduations, baby blessings etc. All of these deserve special commemoration. If the moment is important to you, preserve it. Colleges and school memories and pictures are prefect to put in a shadow box as a perfect graduation gift! 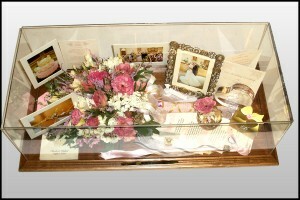 We also offer a christening gown display box for after your baby’s blessings. Call 801-227-0075 to find a dealer near you or to find out more about owning your own franchise. Each encasement is custom designed to reflect your personal style. 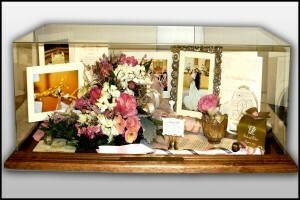 You can include your photos, invitation, garter, tiara, toasting glasses, grooms boutonniere or any other special items. 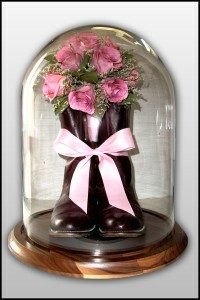 Plan now to preserve your flowers and have them picked up while they are still fresh. If your wedding has already passed, it is not too late. 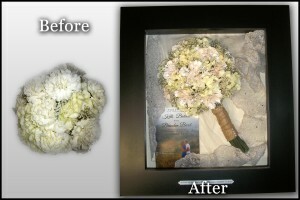 The services we offer are preserve wedding bouquet, how to dry flowers, dry wedding bouquet and much more! Contact your nearest dealer today! 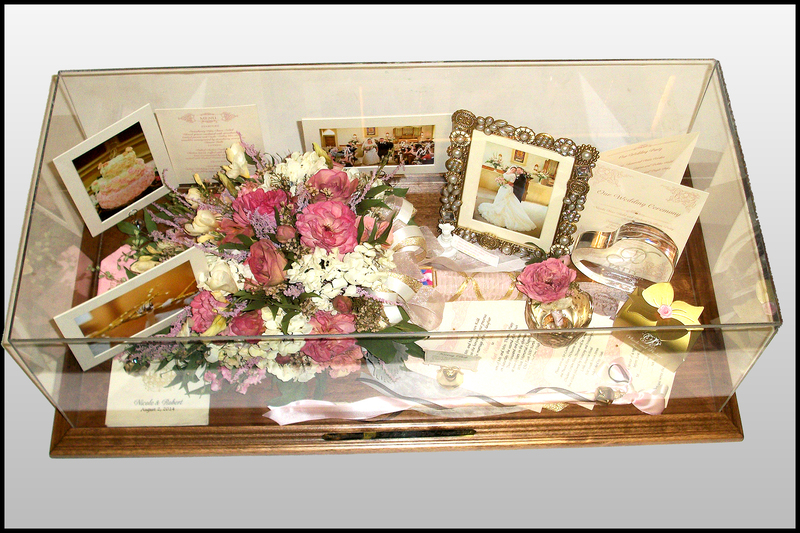 Suspended In Time® will professionally preserve your bridal bouquet and other wedding memorabilia allowing those memories to be cherished for a lifetime. Call 801-227-0075 to find a dealer near you or how to become one too. 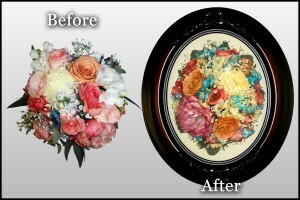 “I have used them twice for both of my daughters wedding bouquets. 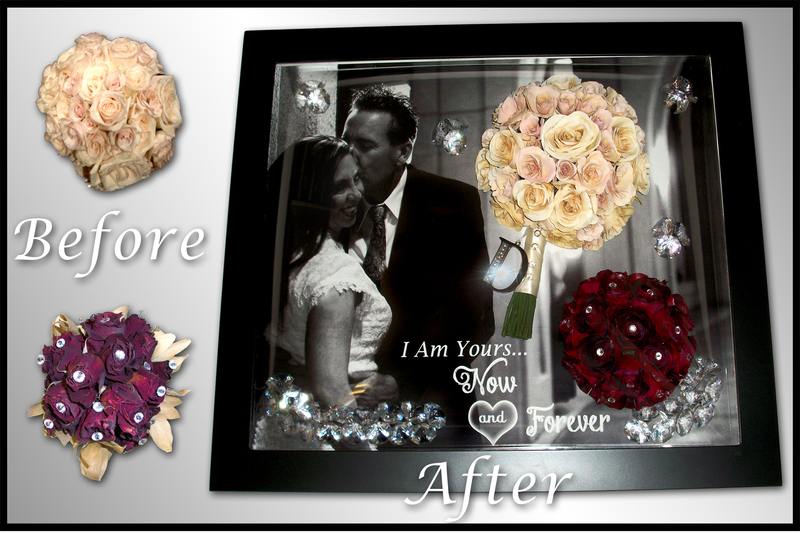 They both turned out great.” ~Thank you for your comments Merelyn. If you would like to find a dealer near you or would like to own a franchise of your own call us at (801)227-0075 or look us up on our website at http://www.suspendedintime.com/. Celebrate Valentine’s Day by giving your special someone something they can cherish for years to come. Have a Happy Valentine’s Day! Funeral flowers can be preserved in frame encasement’s, in vases or containers, or in glass boxes or glass domes. 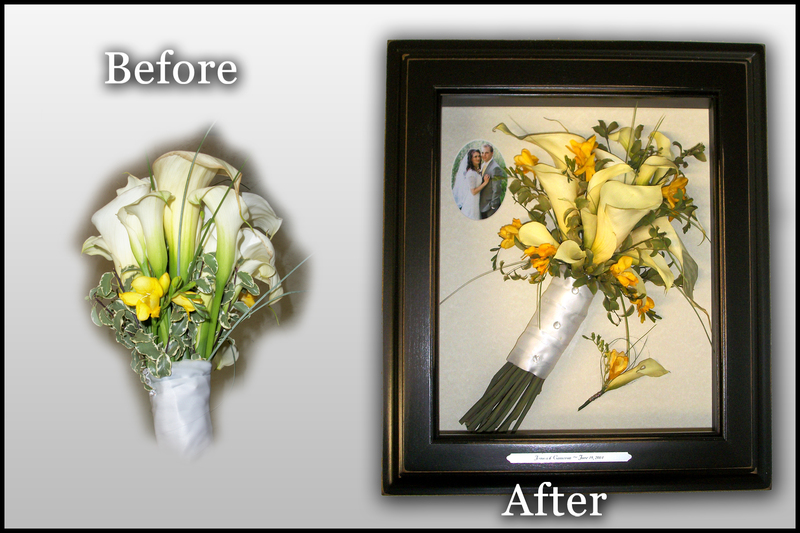 The options are varied and our artists can create the perfect arrangement, incorporating photos or other remembrances that will comfort loved ones for years to come. Call (801)227-0075 for more information or to find a dealer near you. 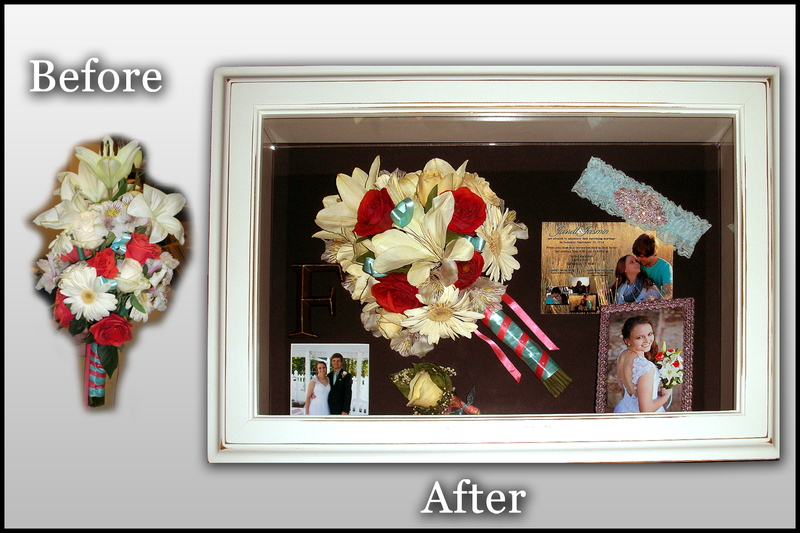 This beautiful encasement has the brides original bouquet from her wedding day 5 years ago restored and her bouquet from her temple sealing she and her husband did this past year. Then we created this custom piece of modern art work with her flowers. 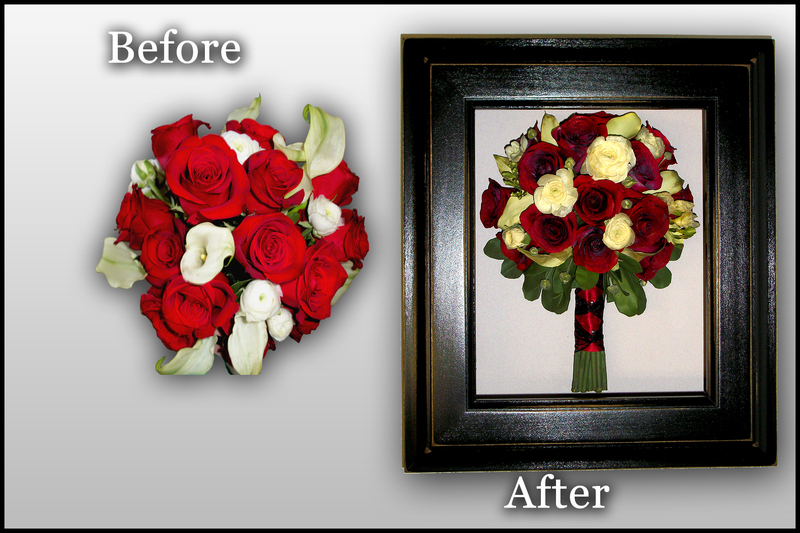 Upon picking up her flowers Pamela wrote a testimonial out for us as follows, “I had been saving my wedding bouquet for 5 years thinking, “One day I’ll find something to do with this”. Then I found Suspended In Time. I came to them with what I though was a little out of the box idea. 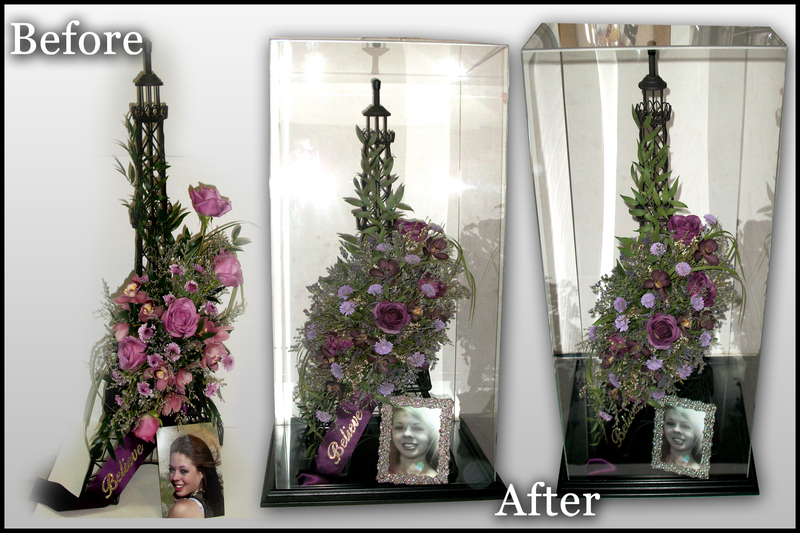 I showed them samples of what I liked with different arrangements and with their insight, experience, and talent we all worked together to help make my thought into a beautiful reality! I couldn’t be happier!! What a comfort knowing my memorable day will be protected and looking like that for years and years to come. Thank you Suspended In Time for doing what you love!” And thank you Pamela for being such a pleasure to work with. We wish you many happy years with your husband. If you are interested in finding a location near you to get your own flowers preserved or how to become a dealer and own your own Suspended In Time Business feel free to call us at (801)227-0075 here at the corporate office. 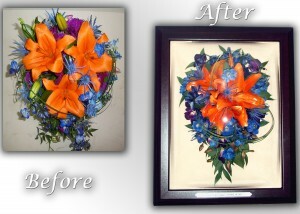 Funeral flower preservation is not about remembering the funeral, but about paying tribute to a beautiful person’s life. 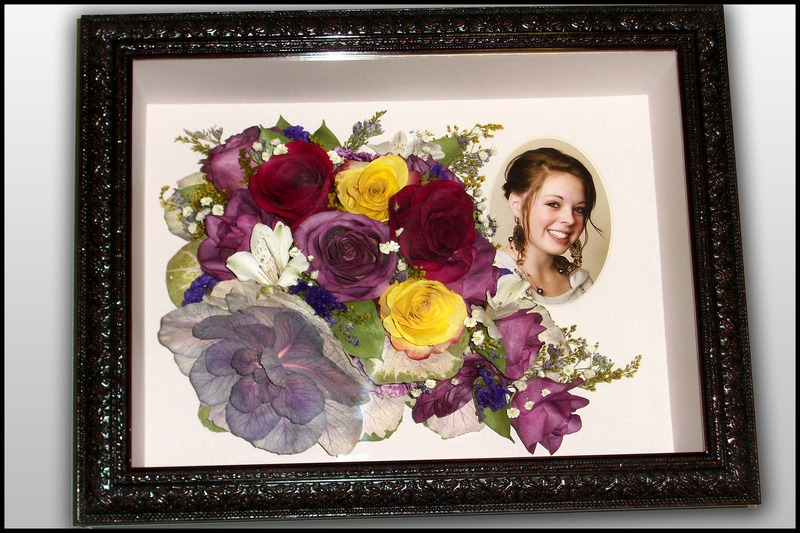 Suspended In Time® has extensive experience to help you create a special tribute keepsake that honors your loved one and celebrates life.Call 801-227-0075 to find a dealer near you or to learn how to own your own Franchise. 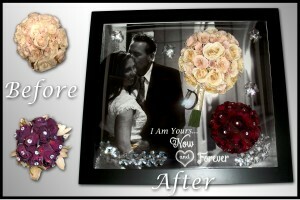 Make your wedding a day that reflects your personality! 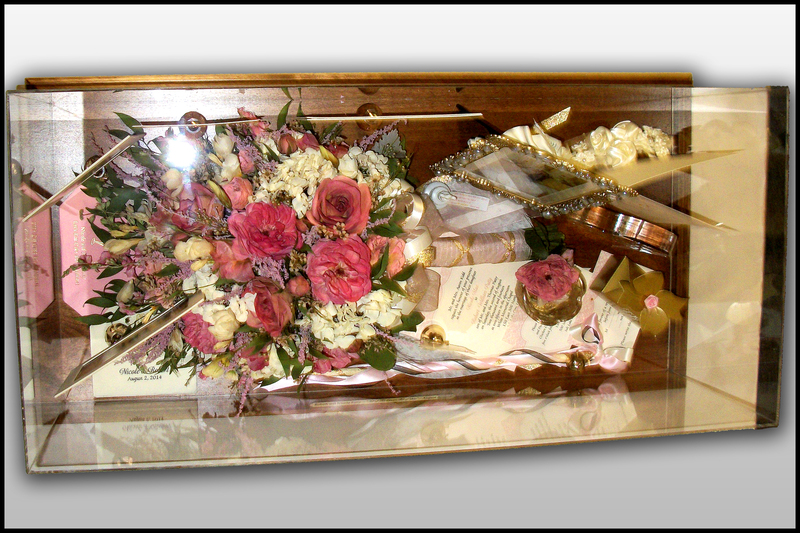 Personalize your wedding anniversary gift by replicating a special moment that she will cherished for generations to come. 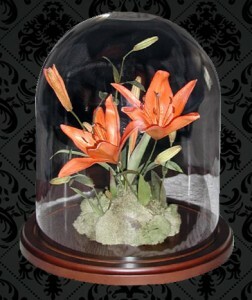 To find out more information on how to create your own personalized beautiful encasement to decorate your home: call (801)227-0075 or http://www.suspendedintime.com/ to see more information on how to own your own franchise. Upon picking up her bouquet Julia Whipple Scott had these wonderful comments to say about her beautiful bouquet, “I absolutely love my flowers! The service was also great. They were so nice and even sent me a picture before they sealed it. I am so glad I did this!” Thank you Julia, we wish you luck in your new chapter in life! For more information on how to get this done call (801)227-0075 to find a dealer near you or to learn more about becoming a dealer.